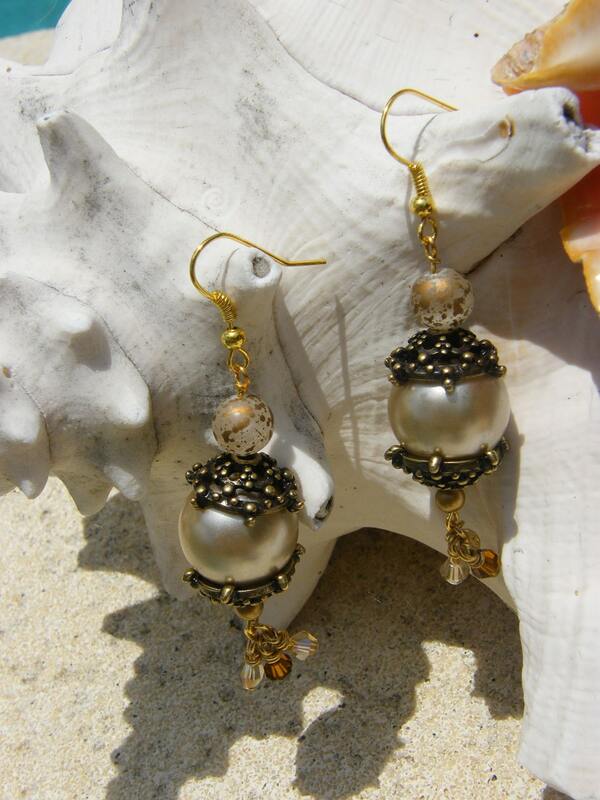 Dangle earrings with antiqued look with larger pearls and petite crystals provide a sophisticated look to any outfit. Hypoallergenic posts. Please convo for international shipping rates.